Dorothy “Dot” Emily Hartley Morgan, age 86, went home to be with her Lord and Savior on Thursday, November 1, 2018, after a long battle with Alzheimer’s. Her loving family was at her side. Dot was born in Marshall, TX on November 6, 1931. She married Glenn Morgan in 1950 and after the death of their first child in 1953, they moved to Chattanooga. In 1954, they helped found Community Baptist Church in the Sawyer community of Signal Mountain, and for over 50 years, Glenn served as pastor and Dot taught the Ladies’ Sunday School class. 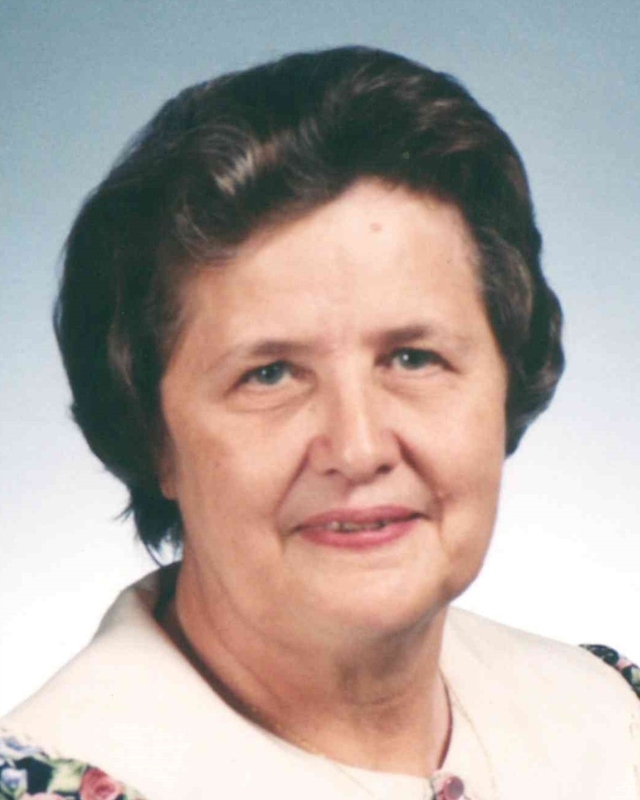 She was well-loved as a teacher of God’s Word and she taught verse by verse through many books of the Bible. Dot loved spending time with people and she especially loved telling others about the love of God in Christ Jesus His Son. She will be remembered as a wonderful wife, mother, grandmother, great-grandmother, pastor’s wife and friend. Dot’s involvement in serving the community at large included teaching in Bible clubs for inner city children in the late 1950s and serving in the PTA at Bachman Elementary in the 1960s and early ‘70s. Dot was preceded in death by her parents, W. H. and Euna Lyle Hartley; infant son, Kenneth Lee Morgan; brothers and sisters: Ariel Hartley, Hardy Hartley, Oleta Harris, Mildred Owens, Reba Smith, Una Faye Marsh, and Ruth Strong, and their spouses. Survivors include her husband of 68 years, Glenn Morgan; daughters: Glenda (Paul) Stetson of Metz, France; Joy (Joey) Akridge of Ringgold, GA; and Susan (Joey) Cross of Signal Mountain, TN; grandchildren: Rob (Caira) Stetson of Woodstock, GA; Carrie (Bill) Zhang of Dujiangyan, China; Becky (Pascal) Grenade of Rose Belle, Mauritius; Christina (Brian) Johnson of Ringgold, GA; and Kimberly (Robert) Dudley of Valhermoso Springs, AL; great-grandchildren: Xavier, William and Chloe Stetson; Dianna Zhang; Liam, Adrien, Ashlen and Havva Grenade; and Connor Johnson; many nieces and nephews and extended family members. The family would like to extend their deepest gratitude to the staff of Hospice of Chattanooga for their wonderful care as well as to sitters provided by Home Helpers and to several family friends who lovingly cared for Dot. Visitation will be 3:00-6:00 pm Saturday, November 3, 2018 at Lane Funeral Home, Ashland Terrace and for one hour prior to the service at the church. The service will be 3:30 pm Sunday, November 4, 2018 at Community Baptist Church, 2016 Corral Road, Signal Mountain with Buddy Nichols, Tom Sneed and Pastor Mark Miller officiating. In lieu of flowers, contributions can be made to Community Baptist Church or to the charity of your choice. Burial will be in Algoma Cemetery in Marshall, TX.